At its simplest a household is one person living alone or a group of people who share living arrangements at the same address for example a group of university students. Most families live in a household, but not all households are families – as with the student example above. The nature of households have changed considerably. In pre-industrial Britain families lived in large households but these households comprised of servants or other non-family members living in the same household. In 2011, there were 23.4 million households (which exclude communal establishments, such as care homes, university halls of residence and prisons etc) in England and Wales, with an average of 2.4 residents per household. There were 55.1 million people in these households, made up of 44.5 million adults and 10.5 million children. Of the adult household population, the Census in 2011 showed, 58% were living as part of a couple, either married, civil partnered or cohabiting, a fall from 61% in 2001. When considering cohabitating couples there has been an increase since 2001: in 2011 cohabiting couples accounted for 12% of the adult household population, compared with 9.8% in 2001. 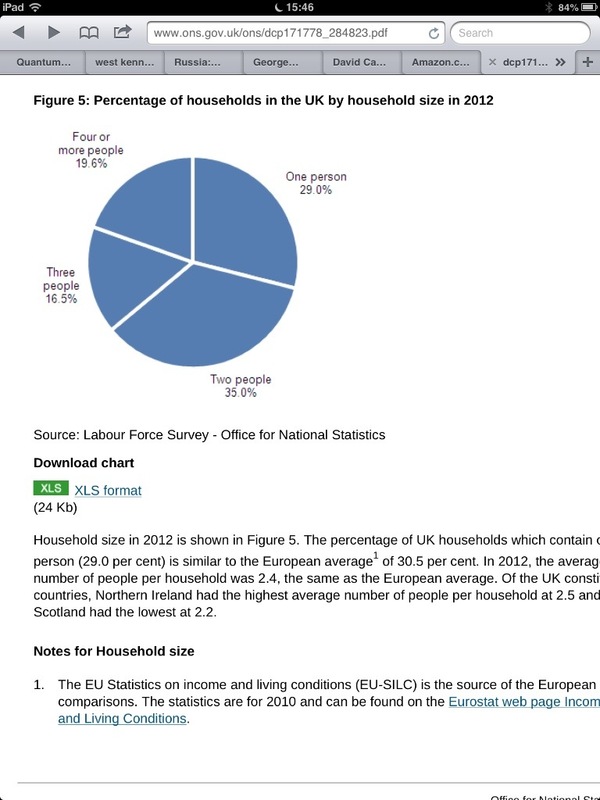 The household type that has seen the largest increase is ‘other households’ at 28% in 2011. These ‘other households’ are made up of people not living in one-family households, even though they may be related (for example siblings), or consist of multi-generational families. It also includes unrelated persons sharing a household (such as students or others flat or house sharing). Just under a third of households consisted of one person in 2011; proportionally this has remained unchanged since 2001 although the number of people living alone has increased by 0.6 million. ← What is the family?